St. John’s Congregation is a member of the Camp Oak Ridge Association. This gives every one of our members the privilege of using this fine camping facility. The Camp is operated by about 10 different WELS congregations from Southern Wisconsin and Northern Illinois. We have just been granted Member status. Our Boy Pioneers Group pays the $300.00 of the $450.00 annual fee for our congregation. The campground does not take reservations and the sites are not numbered. There are fire pits and fire wood is available at no cost (within reason) The entire campground is clean and beautiful. There are modern facilities complete with showers. There is a dump station. There are water and electrical hookups throughout the campground. In the worst rains there is no mud. There are hiking trails too. All of the campers you meet there are WELS members. How to Use Camp Oak Ridge? To use the campground you will need a key. Keys can be signed out in the church office or by calling Loren Lange at 342-2612. Please call a few days ahead to make arrangements to pick up the keys. Where is Camp Oak Ridge? 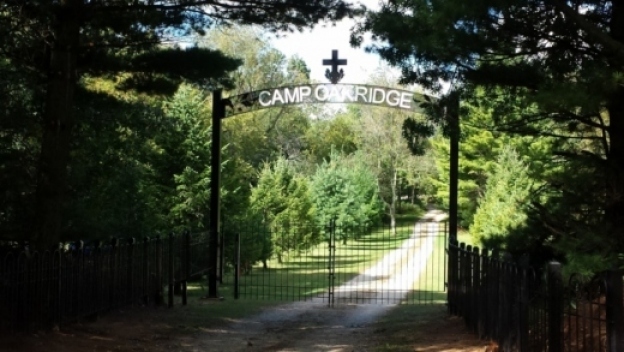 Camp Oak Ridge is located on Tower Rd just Southeast of the city of Palmyra. It is only about 30 minutes from Watertown. When you pick up the keys ask Loren for a map. The cost to camp is $ 1 per night per adult. There is an extra charge for using the dump station but that is all. What a wonderful way to have a low cost weekend or even a summer vacation. There is no lake or pond on site but there are several in the area.